Chairman of the Majlis National Security and Foreign Policy Commission, Heshmatollah Falahatpisheh, said the Parliament voted for observing rights of reservation of Iran's joining the CFT. Talking to reporters after the parliament's open session this morning, he went on to say that Iran’s Guardian Council which is responsible for interpreting Islamic Republic’s Constitution had found 22 flaws with the CFT bill. The Guardian Council confirmed the amendments made to three of them and referred the rest to the Expediency Council, he added. The Guardian Council is an important body in Iran, one of whose key duties is to interpret the Islamic Republic’s Constitution. The Expediency Council is charged with deciding whether or not a law forwarded by Majlis to it after changes demanded by Guardian Council complies with regulations. Based on the Islamic Republic Constitution, the Iranian government is not permitted to accept issues which are against the Islamic Republic’s regulations, Falahatpisheh pointed out. The CFT bill is one of the four Financial Action Task Force (FATF) bills which seek reform in the money-laundering rule, change in the funding terrorism law, Iran's joining the CFT and the Palermo Convention. The United Nations Convention against Transnational Organized Crime, adopted by General Assembly resolution 55/25 of 15 November 2000, is the main international instrument in the fight against transnational organized crime. It opened for signature by Member States at a High-level Political Conference convened for that purpose in Palermo, Italy, on 12-15 December 2000 and entered into force on 29 September 2003. Financial Action Task Force (FATF) introduces itself as an inter-governmental body established in 1989 by the Ministers of its Member jurisdictions. The objectives of the FATF are to set standards and promote effective implementation of legal, regulatory and operational measures for combating money laundering, terrorist financing and other related threats to the integrity of the international financial system. The FATF is therefore a “policy-making body” which works to generate the necessary political will to bring about national legislative and regulatory reforms in these areas. 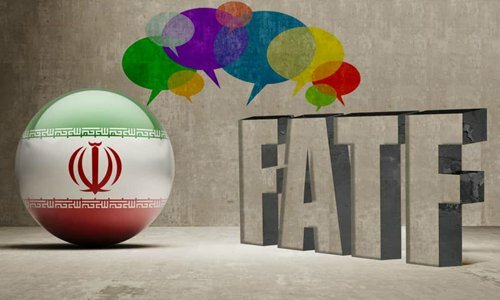 The Financial Action Task Force (FATF) based in Paris, France, has given Iran a four-month deadline until February to complete reforms.